While businesses use many online channels to engage customers, the company website is the most important of all. It serves as the home base for all online resources created by a brand. While business directories, social media, and interactive maps get a lot of attention these days, these important traffic sources all lead back to one place: your website. While there are many factors to consider when structuring and maintaining a business website, one decision must be made early: the domain name. To deliver HIPAA compliance within WordPress, the first step is to understand the basics of HIPAA-compliant IT and hosting. Relative to the specific deployment, perform a risk analysis and then build a HIPAA-compliant website in WordPress with five basic concerns in mind. Why is this form of compliance needed? Organizations in healthcare and their service providers want to avoid federal fines but also want to generally prevent compromise. Healthcare data breaches increased 40% from 2015 to 2016, so now it is even more critical to pay attention to defenses for your protected health information (PHI) – particularly the electronic protected health information (ePHI) safeguarded within data environments. We will be installing October CMS on CentOS 7.2 in this how-to guide. October CMS is a content management system that uses the Laravel web application framework. 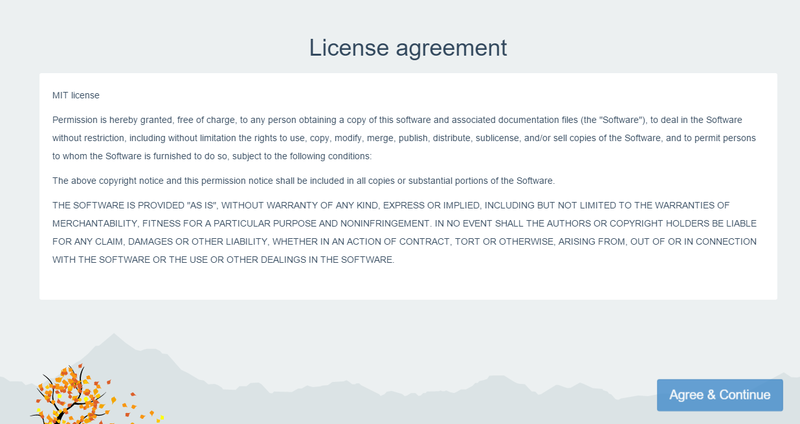 It is a free and open source and has been widely adopted by the developer community. This guide requires a CentOS 7.2 server running LAMP. You can follow our guide on installing LAMP if you have not already done so. Set a secure password for the database user octobercmsuser by replacing [insert-password-here] with a password of your choice. An example of ip addr show eth0 getting 192.168.100.10 as the IP address. In our example, we would put http://192.168.100.10/install.php into our browser’s address bar. On the next page, we are going to enter the database information that was set up earlier. Click the “Administrator >” button in the lower right, after entering your database information. Your October CMS installation is now complete, it now gives you a few options on how you want your site to look like. Congratulations! You have just installed October CMS on a CentOS 7.2 server. We hope you have enjoyed this guide, please check back here for more updates, or read the related guide below. Atlantic.Net also offers popular one-click application installations like October cloud hosting, as well as HIPAA WordPress Hosting. In this How-To, we will walk you through the install and configuration of Joomla on CentOS 7 with Apache. 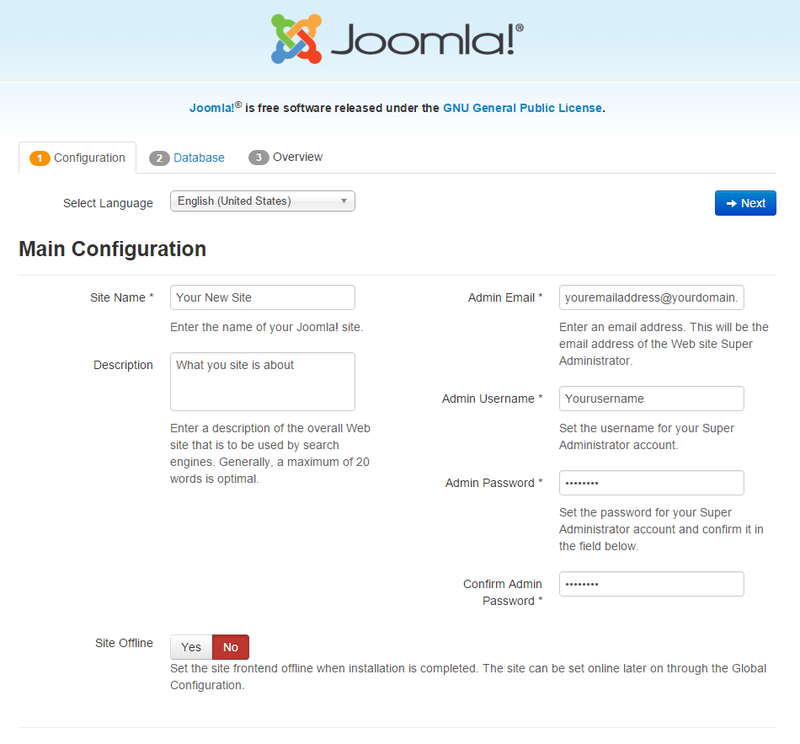 Joomla, one of the most popular content management systems nowadays, is used by many web developers for new websites. It is a powerful but yet simple system that requires little technical experience to work with. – You need a CentOS 7 server that is configured with a static IP address. – You will also need to have a LAMP (Linux, Apache, MySQL, PHP) stack platform if you don’t already have it. To get started, log into your CentOS 7 server via SSH or Console. If you are using the Atlantic.Net cloud service, note that they are setup with minimal installations to avoid having unnecessary packages from being installed and never used. If some software packages that you’re used to using aren’t installed by default, feel free to install them as needed. 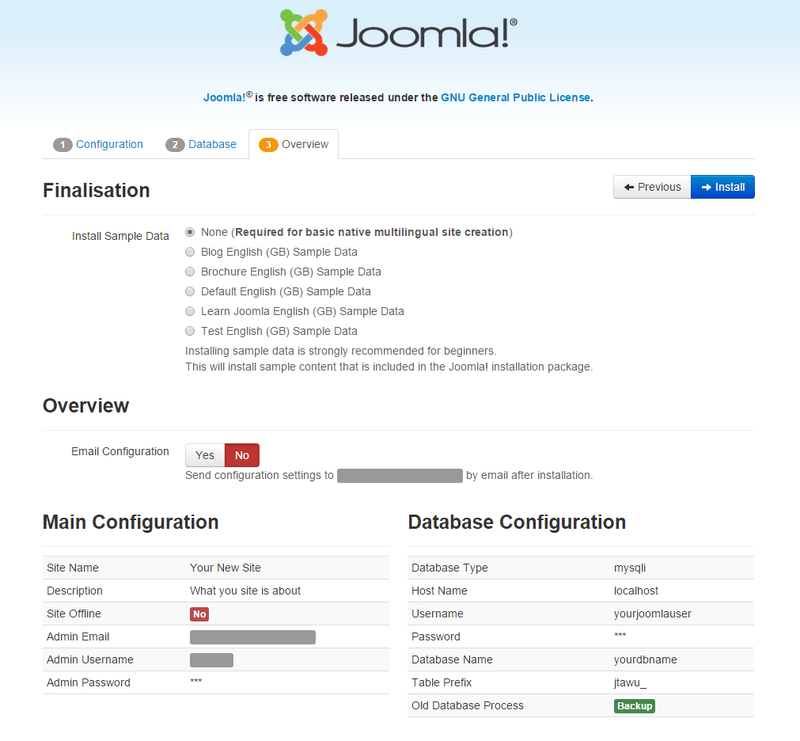 Download the most recent stable Joomla release. For this tutorial, that’s version 3.4.5. You can check here to find the most recent release. Congratulations! 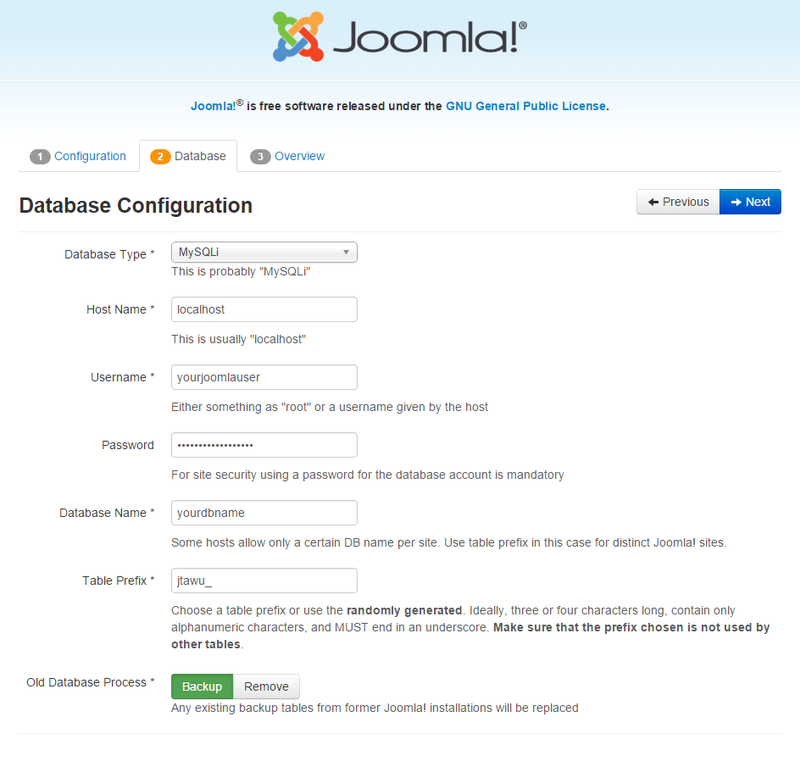 You have just installed and configured Joomla with Apache on your CentOS 7 cloud server. Thank you for following along in this How-To and check back with us for any new updates, or learn how you can set up HIPAA-compliant WordPress hosting with Atlantic.Net. 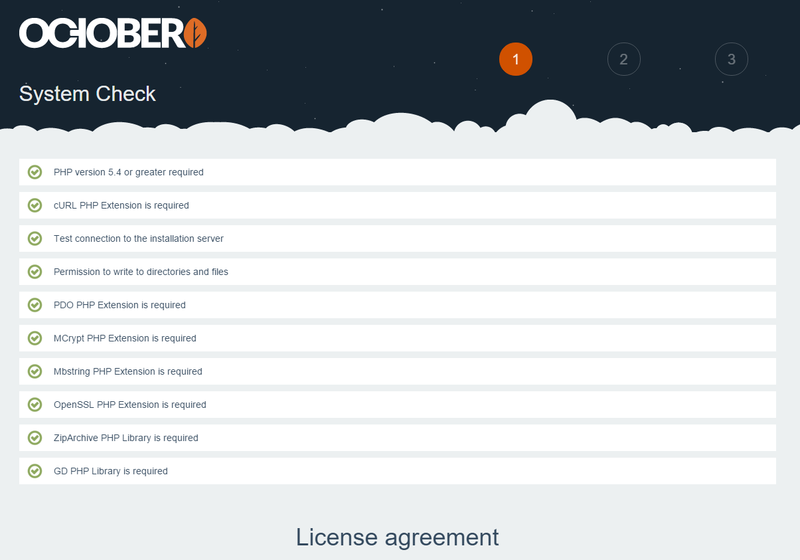 This how-to will take you through installing October CMS on Ubuntu 14.04 LTS. October CMS is a content management system that is free and open source. It is a relatively new content management system and is built on the Laravel web application framework. 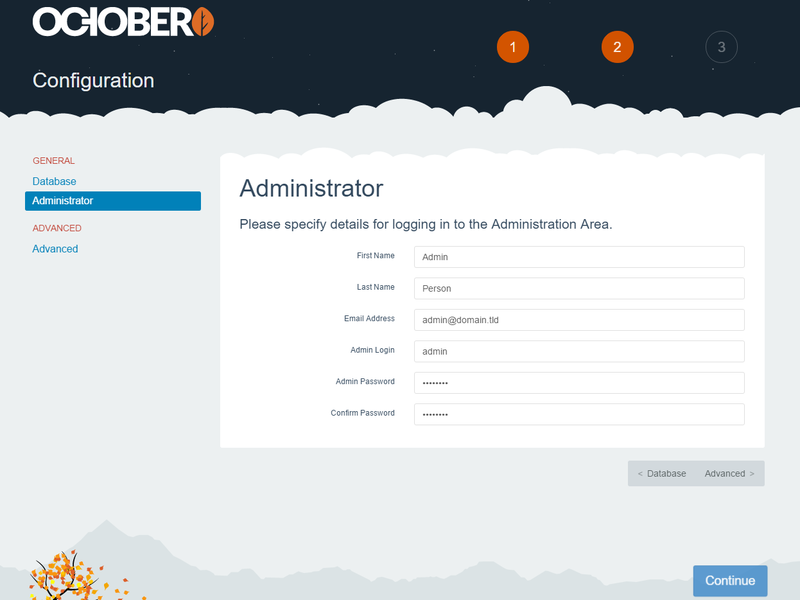 To install October CMS following this guide, you’ll need an Ubuntu 14.04 server running LAMP. Please see our how-to guide for installing LAMP. Set a secure password for the user octobercmsuser where it says [insert-password-here]. Finish The Installation Through The October CMS Web Installation. In our example, we would put http://172.20.6.154/install.php in the address bar and get the following page. 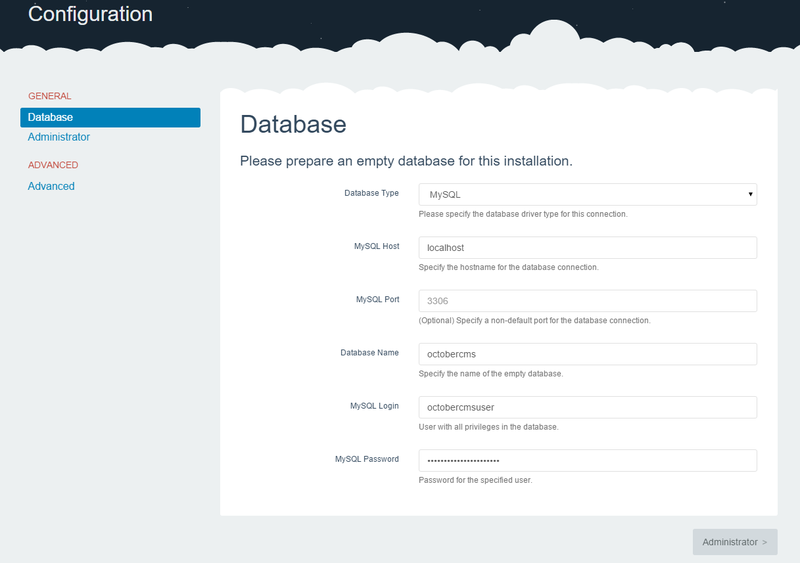 Now we need to enter the database information that we set up in the first step. Once you’ve entered the database information, click the “Administrator >” button in the lower right. Congratulations! 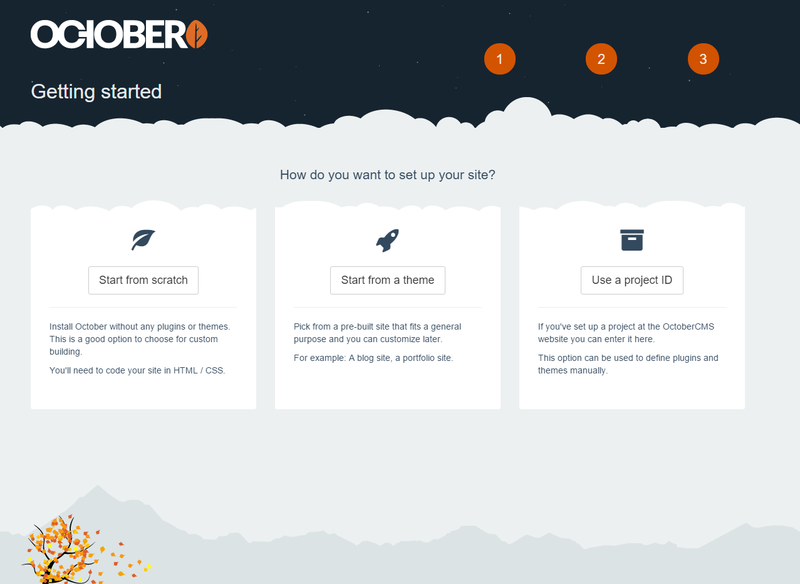 You have just installed October CMS on Ubuntu 14.04. Thank you for following this guide, and we hope you enjoyed it. Please come back for more updates, or learn about how you can set up HIPAA WordPress Hosting with Atlantic.Net.